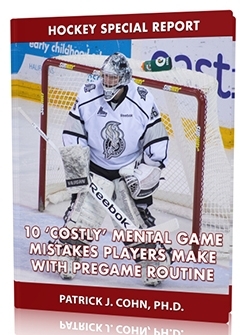 You are here: Home / Hockey Psychology Articles / Hockey Confidence / Does Your Hockey Team Play Not to Lose? Does Your Hockey Team Play Not to Lose? Have you ever been in the situation where your team is in the lead late in the game and your team is desperately trying to hang on to close out the game for the victory? Often hockey, lacrosse, soccer or football teams resort to that “prevent defense” where the goal is to defend against late minute scores in order to secure the win. How often have you found yourself adopting that “play to not lose” mindset late in a game only to give up a quick score or two and, eventually, lose the game anyway? The 2013-14 Carolina Hurricanes are attempting to reverse their misfortune of a year when they finished 13th in their conference and failed to make the playoffs. The Hurricanes played their opening game of the NHL season against the Detroit Red Wings and scored a goal in each of the first two periods taking a 2-0 lead heading into the third period. Early in the third period, the Red wings scored a goal but the hurricanes managed to maintain the lead, 2-1, for the next 19 minutes. Then with 16.4 seconds remaining in the third period, the Hurricanes allowed the tying goal that forced an overtime period. Three minutes into the overtime period, the Red Wings scored again handing the Hurricanes a loss in their opener. Many factors could have contributed to the Hurricanes’ loss but giving up last second scores in sports while playing to protect a lead seems relatively commonplace at times. “Playing not to lose” is a fear-driven way to play. 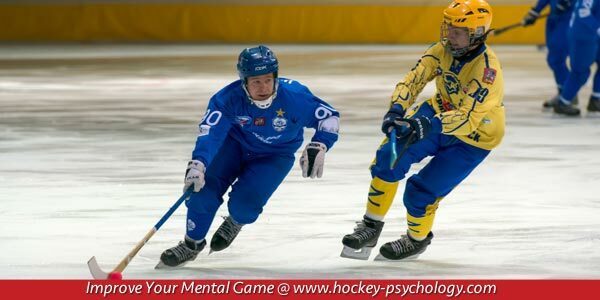 Fear creates anxiety and tension causing players to play back on their heels, meaning playing are merely reacting to their opponents instead of attempting to dictate the action on the ice. Playing defensively or in prevent defense your performance is a split-second behind. For these reasons, a different mentality is needed to close out games. One way of playing would be to continue playing with the very style that produced the lead in the first place. The mindset would be that of going for the “knockout punch” and continuing implementing the strategy that had produced successful results. There will be times though that your opponents will switch strategies and your team may need to adapt. If your team decides to play a defensive style, continue to be aggressive with the “attack mentality.” Think about increasing your lead and play to win.